Serpent of Isis is rated 3.3 out of 5 by 27. 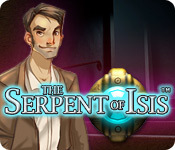 Rated 5 out of 5 by BuddhaSandy from The Serpent of Isis Really great gameplay, great storyline, lots of different & fairly difficult hidden object scenes. My only complaint is that you cannot re-gain access to played levels to find the extra icons. Found it challenging but not too taxing. Rated 5 out of 5 by barbincal from Barb's Review I really enjoyed this game & was dissappointed w/the sequel. The play was challenging & the mysteries were tricky, but do-able. The end does leave you hanging. The sequel is too simple w/o the challenges of the 1st game. Rated 5 out of 5 by MaggieMae123 from Best of the BEST!! This game was incredible and lasted much longer than most BF games I love! 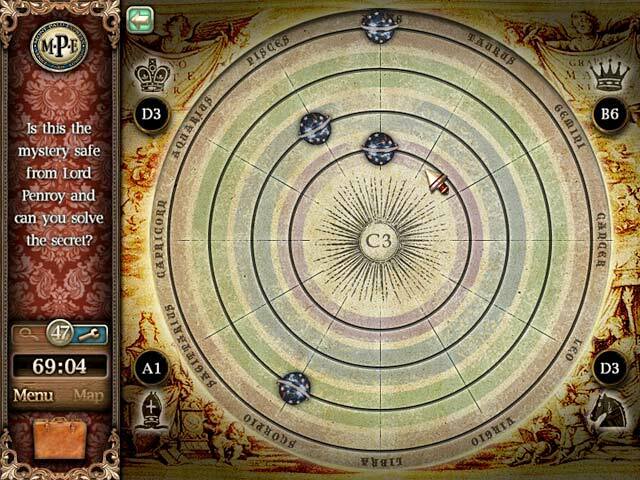 I am anxiously awaiting the release of ISIS 2 for my iPad! I would pay full price for this series without hesitation! 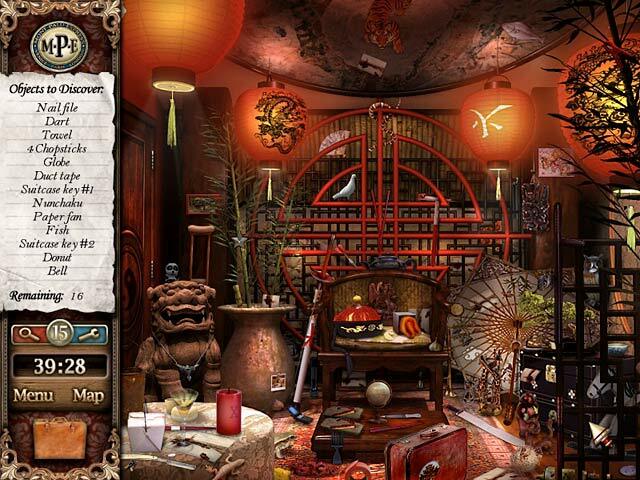 Rated 5 out of 5 by strongerthanever from Excellent Hidden Object Game! Wish they were all like this one. Kept me interested. It was hard but it wasn't impossible. I really enjoyed this game. Rated 5 out of 5 by Sunflower_boy from Good travel-themed game As a non-stop backpacker I rather enjoy any hidden object games with a travel theme and so I was instantly attracted to this game. For anyone who feels like taking a journey through Europe and at the same time enjoying a little classic hidden object gameplay in beautiful scenes then this game I can recommend. Rated 4 out of 5 by coffeyfan77 from Exciting Adventure Through Europe This game is an oldie but a goodie, combining an Orient Express-like train ride with a hidden object/adventure hybrid that's a very fun play. Your character is on a train with a bunch of suspicious art collectors when you receive information that may help you uncover a mysterious secret your grandfather was working on. Your diligent quest to uncover that secret composes the game, as you'll turn the train upside down to find clues that point you in the direction of where to go. There's plenty to like here. Visuals are great, though the backgrounds and cutscenes look much better than the HO scenes, and the music is unobtrusive. No voice acting. 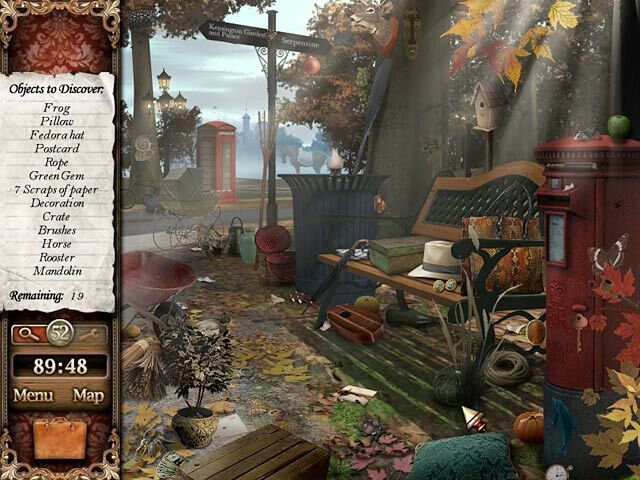 In each chapter, you'll use objects collected to solve puzzles to move forward and unlock other locations. Minigames are varied but relatively easy, and the characters you encounter along the way are well done. The story is the strong point here, and it's a sort of Indiana Jones type adventure that I found suspenseful and interesting. The ending is a bit anticlimactic, leading to the invariable sequel naturally, but has a satisfying twist to it. You'll definitely play plenty of HO scenes along the way. All in all, this is an interesting game that's better than average in about every respect. It keeps things moving and keeps you engaged to solve the puzzle. Good stuff. Rated 4 out of 5 by EnvirEng from If you REALLY like HO games, this is for you Look, I don't like HO games that much and this is almost all HO, but I did finish it. If you LOVE HO games, you will probably love this one. You travel around Europe on a train looking for five amulets that comprise the Serpent of Isis, which your grandfather knew all about. To complete your mission you need to search some train cars twice, but you only visit locations in the cities once. Sometimes you need to revisit a location after you have picked up an item at another location. There are certain items related to the five main characters that are not listed but you can find in scenes to increase the number of hints. (Fortune cookie, cigar, paint brush) The levels are timed (a fairly generous amount of time), but that might be a drawback for slower players. There are a fairly generous number of hints on each level. Pros: -There many, many interesting locations to visit. -The story is pretty good. -In some locations, there are mini games or sub-locations to visit. -The graphics are good. -The mini games are good, but pretty easy. -If you like HO scenes, this is almost all HO scenes. -Sound effects are good. -No voice overs, all text and you can click through it. -The search area covers most of the screen, so look carefully at the bottom and top of the screen. -There is a sequel. Cons: -If you take pride in never using hints, this IS NOT the game for you. -Some of the items you need to find are truly microscopic. (Find three popcorn kernels, find seven scraps of paper) -Some of the items are impossible to find. (Black insect on black background) In a few cases, I had to look very hard to find an object, AFTER I used a hint to tell me where it was. -No joke, I had to turn off the lights and tip my monitor down so I could find everything. -In some scenes you have to find multiples of an item. (Seven scraps of paper, six house flies) -In a few cases, the listed item didn't exactly fit the item you had to find ('bolt' meant lightning bolt, not nuts and bolt and don't get me started on 'wooden container') Strangely enough, I enjoyed the game. I played through and while I don't think I will get the sequel, I recommend that you give it a try. You might like it, too. Rated 4 out of 5 by ts1sds from A Fairly Entertaining Train Ride Normally, I don't like games that are exclusively - or almost exclusively - hidden object scenes, but this one actually held my interest. I enjoyed the special item location quest that increased hints for every one found. The story line was pretty good, too. Since much of this review hinges on my own model of what makes up a good game, I'm not going to give it a recommendation. However, I still had a pretty good time playing it. Rated 4 out of 5 by SDKitty from Good Beginning to go into Adventure Hidden Objects Nice start if you wish to get into the Hidden Object Adventures. -Good Graphics (Though Some items are hard to Find.) -Great sound Effects -Good story line if you are into old Egyptian History. -Mild Puzzles (ranging from Easy to Mediumish) Cons:Hints are Limited but a twist to finding more Hints. Conversions aren't easy to skip either. Rated 4 out of 5 by arnold1049 from Enjoyable Game I liked this game. The story line flowed well and fit the graphics. The HO scenes were clear but not too challenging. The special objects were hard to find and the hints were not very helpful. I had to refer to the walk through a few times to get through some areas where the next step was hard to figure out and the clues didn't help.